Does life feel too much of a struggle at the moment? Would you like to share or explore your thoughts and feelings with a professional experienced person who will not judge you? 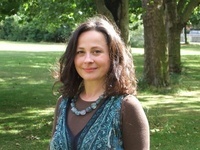 My name is Osvalda Cerati-Harrod and I am an Integrative Psychotherapist and Supervisor. I am a UKCP registered psychotherapist and a member of the British Association for Counselling and Psychotherapy (BACP) working as a psychotherapist and supervisor in Wandsworth / Battersea in South-West London (SW11). I also practise in Oxford Circus, Central London ( W1 G). I am committed to providing counselling and psychotherapy in a safe, confidential and non-judgmental environment. I practise in both English and Italian. I work with individuals on an open-ended basis or for an agreed time period, with the aim of enabling the person to enhance his/her life and to live it more fully. I am also particularly interested in the sound of the voice and what it may communicate. My consulting room is located 2 minutes walk from Oxford Circus, conveniently accessible from anywhere in Central London and the City. My practice is near Clapham Junction Station, easily reachable from anywhere in Wandsworth and Battersea and neighbouring Fulham. Future fees are discussed at the initial meeting. Low cost therapy may sometimes be available for students. Missed sessions are usually charged for. Please feel free to contact me to arrange an initial appointment or to discuss whether I may be able to help you.